Hey everyone! I live in bitterly cold Saskatchewan, Canada and my son is 5 and still learning how to skate, he spends plenty of time looking like this snowman does so I just had to colour it up! The image is Smooth Move from Sassy Cheryl Stamps, and is painted on Arches 140lbs Coldpress watercolour paper with my inktense pencils. Unfortunately I did not write down what colours I use to paint this image. 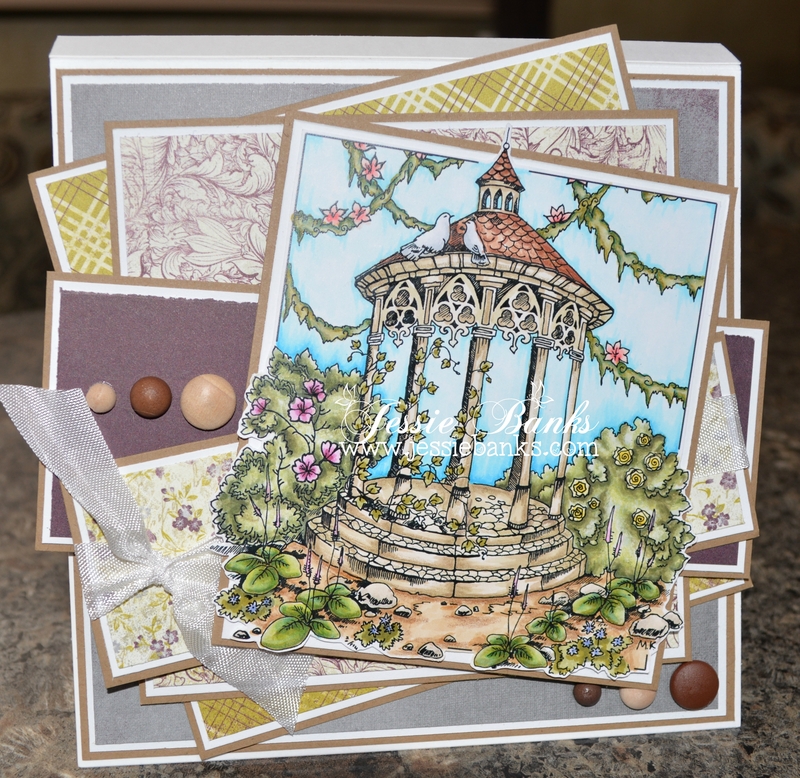 I used some of my older Authentique paper’s and the polkadot paper is out of my scrap bin, and a bit of twinery twine finished off the front of this card. Still on this use up some of what I have in my stash so I can buy more stuffs! Hey everyone. On July 4th my uncle got married and I made them this card. 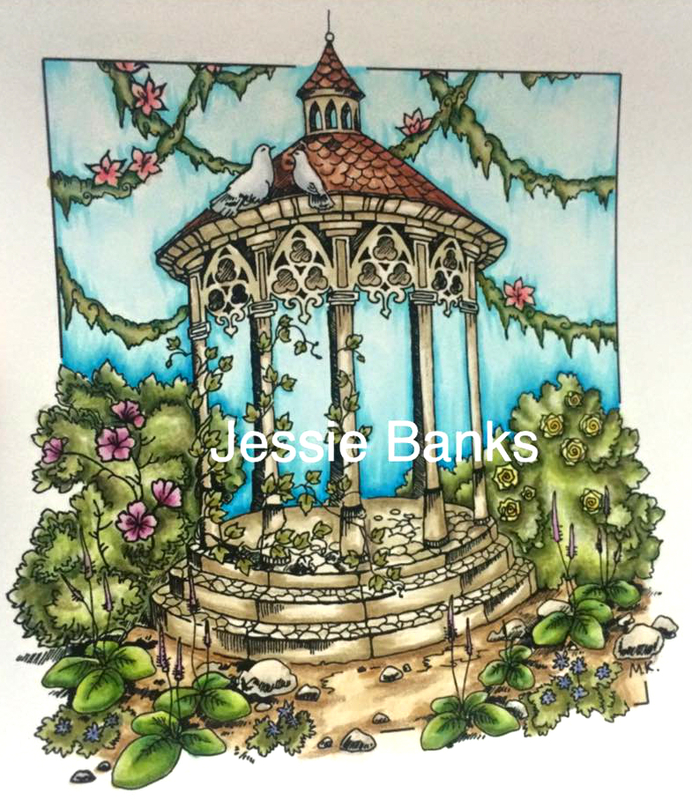 I used Lovers Pavilion from Make it Crafty, I coloured it up with my Copic markers and Prisma Pencils. 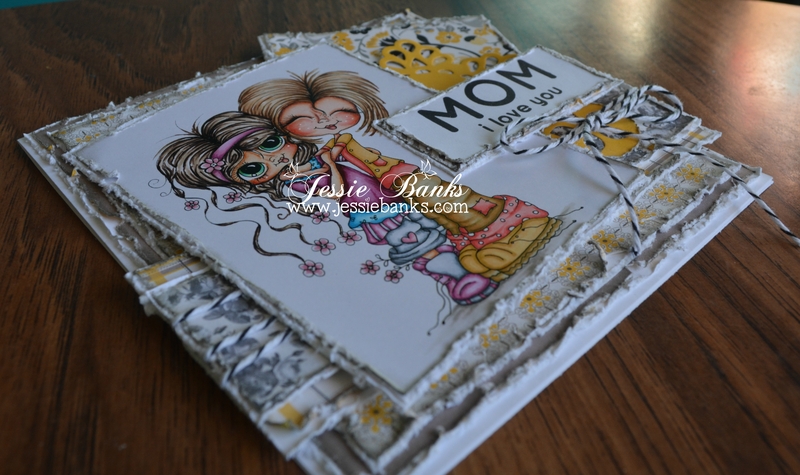 Hey everyone, back again with another card for the My Besties French Challenge blog, this challenge is Mother’s day! 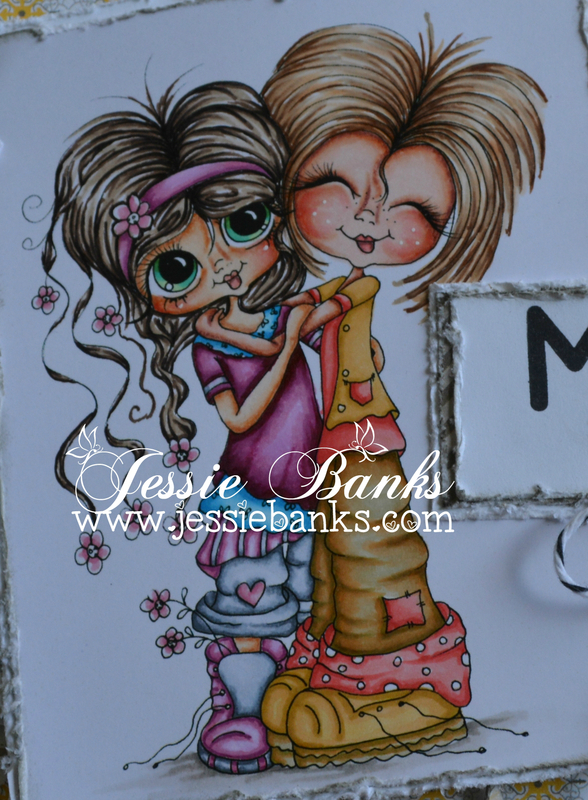 This card features Sherri Baldy’s My Besties Best Besties Forever, I coloured these two up with copic markers. 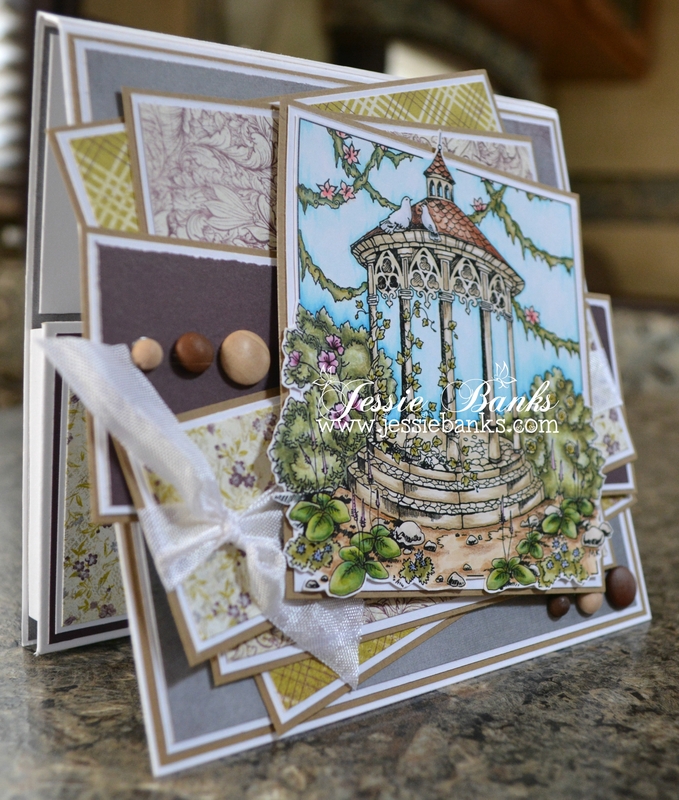 Layered patterened paper, some die cuts, twine and a sentiment finish off the front of this card.